We kickoff this year's Christmas season early with our traditional free logo decorations for our members. 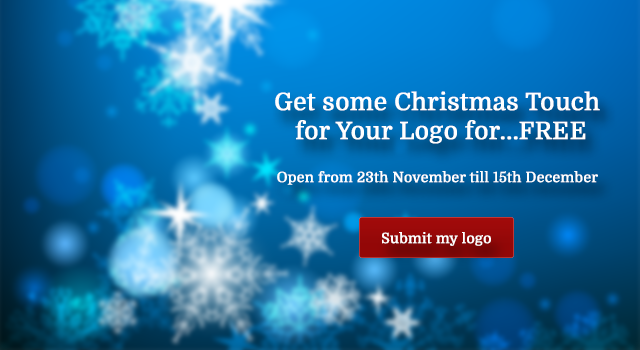 Due to unavoidable circumstances we were not able to offer the free logo decorations last year but we are back on track this year, get your logo's touched by the JoomlArt's designers and get your site ready for this Christmas. Wondering how it works? Its easy, you give us your logo and we do the magic, check out how we did it last time. How to get your logo retouched? If you have an active membership (required) with us, go ahead and submit your original logo. Submit a high resolution file of your logo and your website URL which uses any JoomlArt template. One Logo submission per member. Within 2-3 days we will give you a nice Xmas version of your logo. The updated logo will be uploaded to the submission post of the member. Last date of submission is 15th December 2013. If you submit a low resolution image of your logo, don't expect wonders! The results won't be overwhelming as editing will be really difficult. The better the quality of your logo files you provide, the better the result you will receive. Ideal would be a package including PSD + Fonts + Background files. Please backup your logo so that you can use it again in the new year.